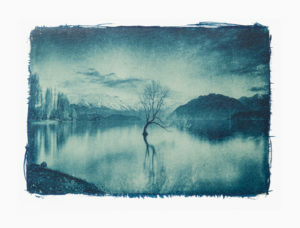 Precious Landscapes celebrate the iconic and anonymous landscape through handmade platinum, cyanotype and gum bichromate prints on cotton rag paper and vellum. 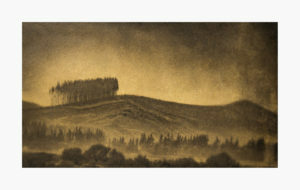 Stuart uses the subtle tonal range, luminosity and inherent permanence of these processes to communicate the extraordinary beauty and drama of the landscape that he sees. Stuart’s goal is to inspire those who see his work to look more carefully at the world to discover beauty in the familiar and in the lesser known places around us. 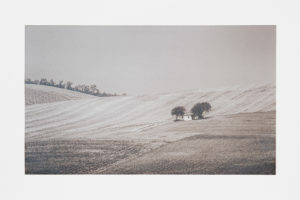 Avoiding the cliche in photography, particularly landscape photography, is as challenging now as it was at the end of 19th century when the Pictorialist movement grew in response to what many of the day called machine made pictures. 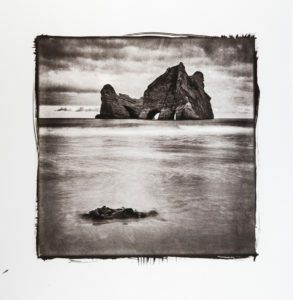 Today a growing number of photographers are exploring Alternative Photographic processes to help them express their emotional response to the Landscape in a uniquely personal way amongst the proliferation of images that are a result of today’s technology. Stuart’s exhibition will showcase how in this digital age the hand of the artist is very much involved and alive where results are never guaranteed and serendipity is always close by making for a truly handmade and unique print.